Potassium is an essential mineral that is widely distributed among food sources, with especially high levels present in fruits and vegetables. Potassium is critical for the maintenance of normal whole-body and cellular fluid levels, as well as for the maintenance of acid-base balance. It is also necessary for proper muscle contraction, the maintenance of healthy heart function, and for the transmission of nerve impulses. 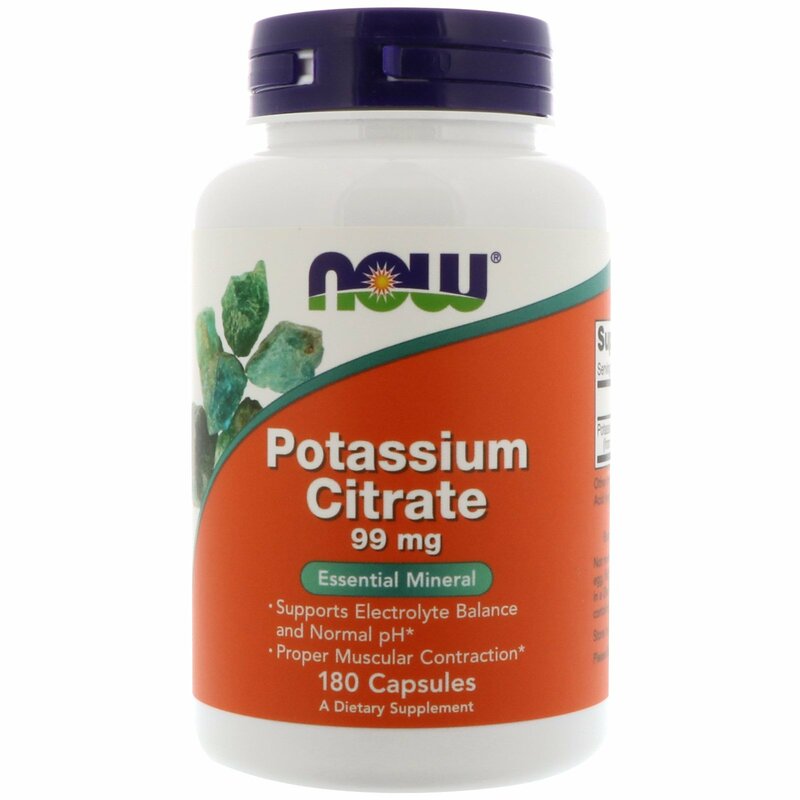 Potassium Citrate is a well absorbed and highly bioavailable form of potassium. 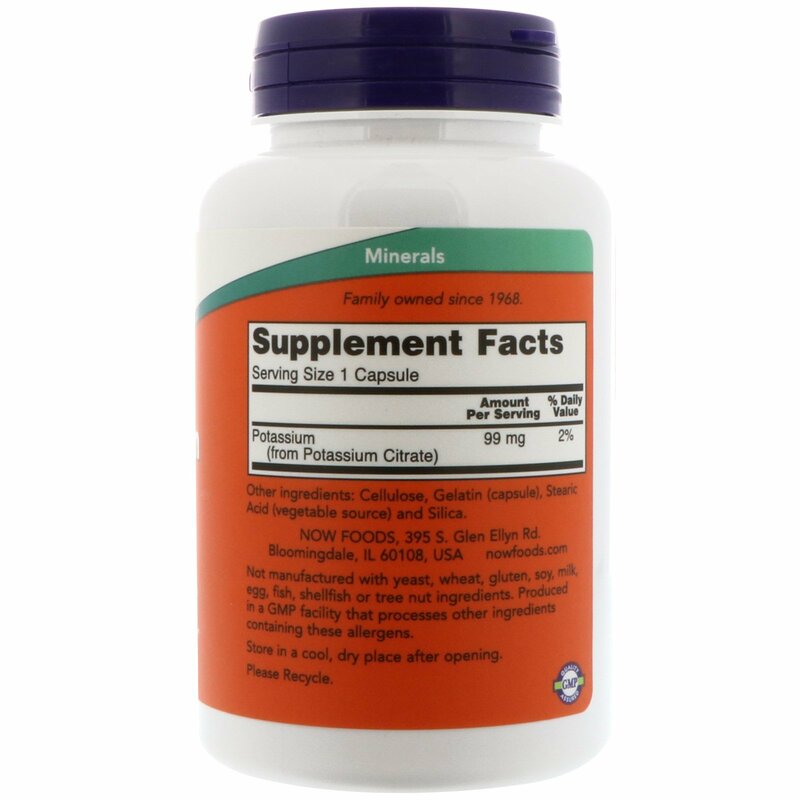 Take 1 capsule 1 to 5 times daily, preferably with food. 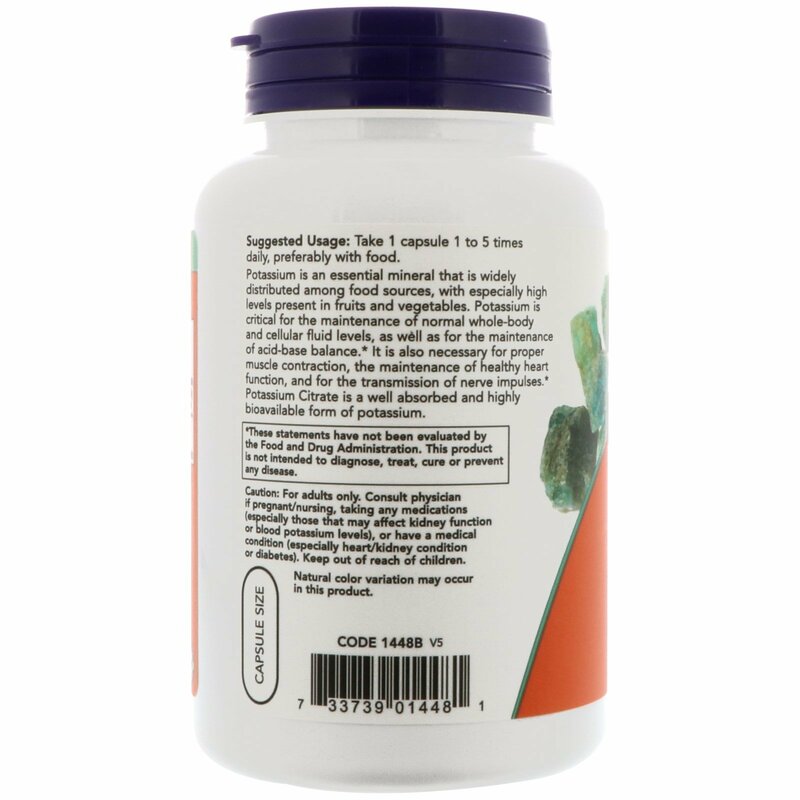 Cellulose, gelatin (capsule), stearic acid (vegetable source) and silica.